Mounts with wires outside of chamber. 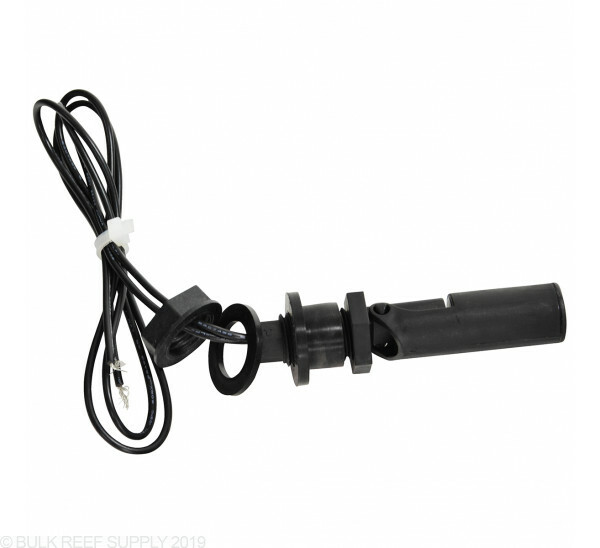 The magnetic reeds enclosed in liquid level sensors are extremely reliable and long-lasting when utilized properly. Failures are nearly always a result of current overloading. Pumps, solenoids and many other devices that require control by a liquid level sensor carry "steady state" current ratings. These devices can draw ten times (or more) their steady state power ratings on start-up or shut-down. When the reeds inside our switches are exposed to this kind of "spiking voltage" they can overheat and become deformed. In some cases they may even weld together or break off, causing the switch circuit to remain closed (or open) regardless of the level of the float. Deformed reeds can also function intermittently, causing problems with troubleshooting. 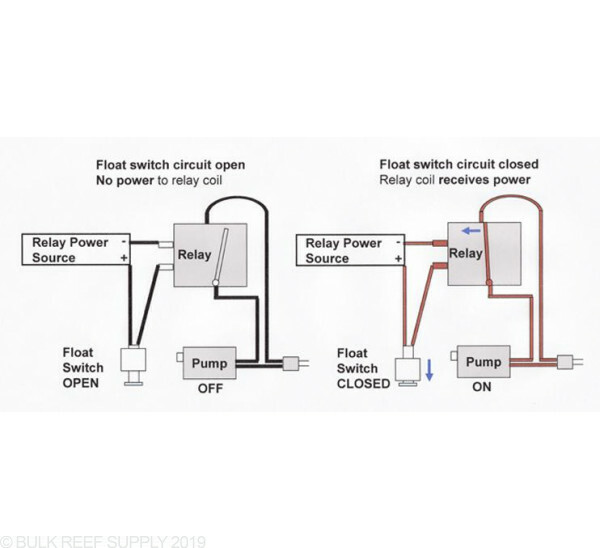 A 50-watt float switch can be destroyed by a pump rated at 6 watts and, unfortunately, it may take many cycles before the failure occurs. Works as advertised. Easy to install. Black color matches my setup better than white. Has the plastic nut, some of the others don't. I especially like the black color, doesn't start looking crudy as fast as white parts do! Can this be connected to vertex cerebra? What size drill bit is needed for this? 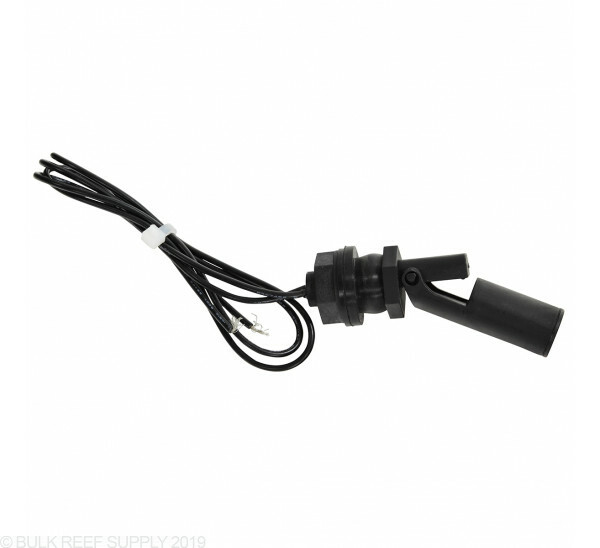 Is this switch compatible with the neptune apex breakout box for use with things like water level monitoring? You could certainly use these with the Neptune breakout box. If used with Neptune apex BOB, do I need the relay that you talk about in the product description ?? Thanks! Do you sell a 120v relay 3 prong plug that can be utilized with this device to turn a pump on or off? 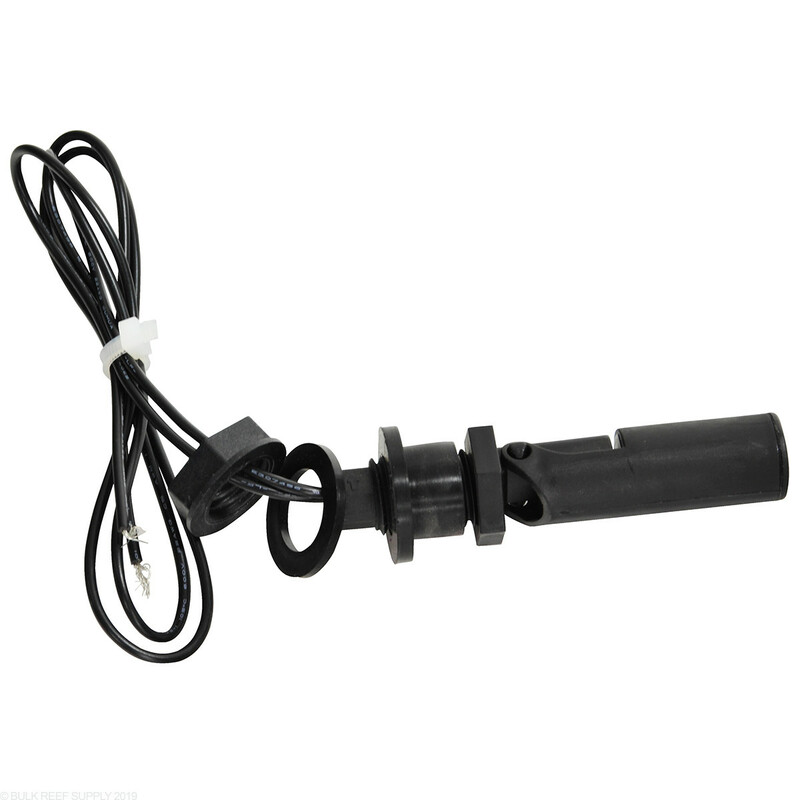 We do have a relay but it is part of an ATO kit that includes a standard vertical float switch. You can use the horizontal switch in place of the included switch.